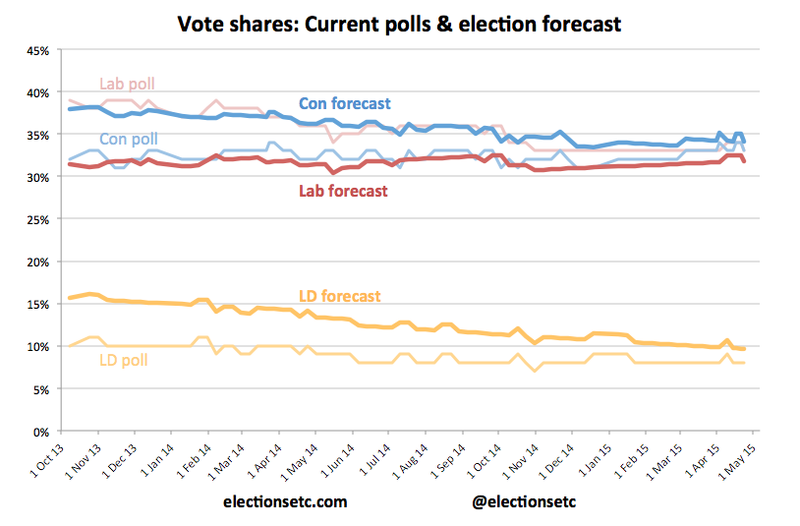 With less than two weeks to go, Labour and the Tories are still tied in our polling average, but they’ve both dropped a point since Tuesday, to 33% each. 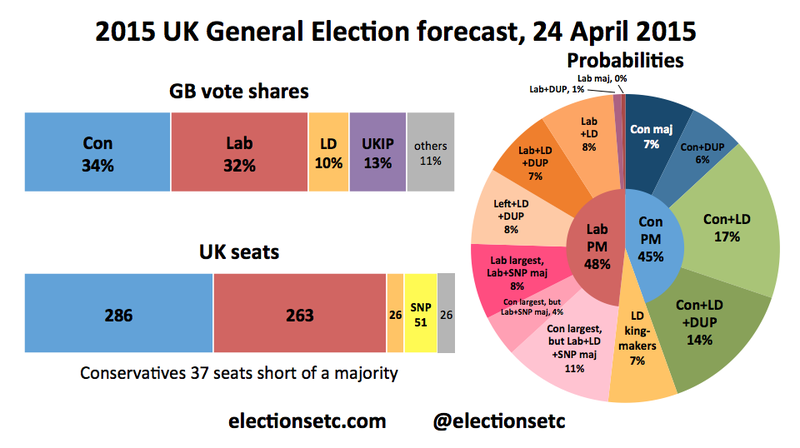 The result is that the Tories are down two seats in our central forecast – it now has them winning 286 to Labour’s 263. The beneficiaries are the Lib Dems, up two seats to 26. 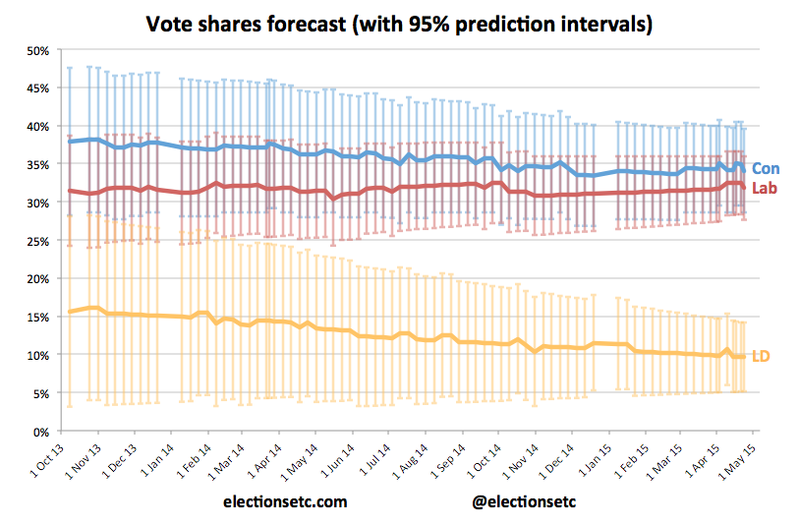 The chances of a hung parliament are therefore up again, to 92%, as the likelihood of a Tory majority has fallen to 7%.